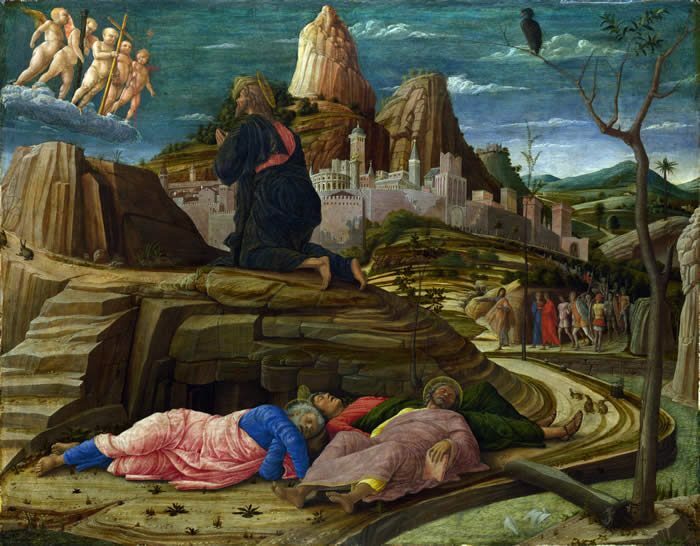 Beginning on 1 March 2019, the Gemäldegalerie is presenting an extensive exhibition on the intricately related work of Andrea Mantegna (ca. 1431–1506) and Giovanni Bellini (ca. 1435–1516). 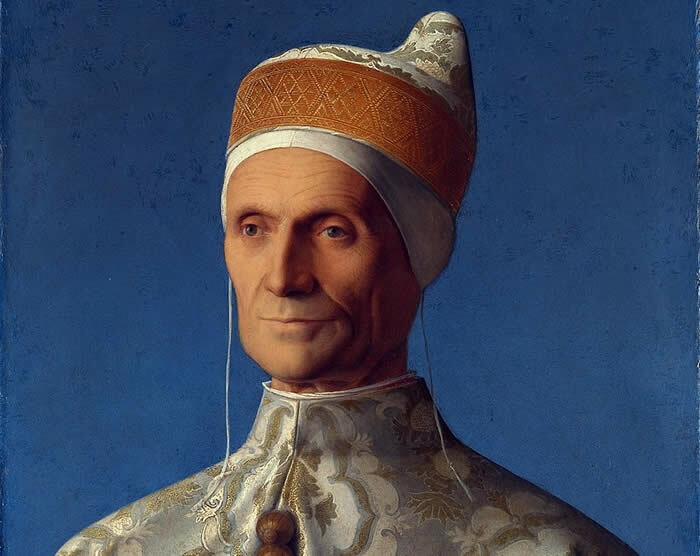 With around 100 works, this cooperation between the Staatliche Museen zu Berlin and the National Gallery London will present the work of these two masters of the Italian Renaissance side by side for the first time. The exhibition catalogue has already been published. Tickets and group tours can now be booked. In 1452/3 the ambitious, dynamic painter and printmaker Andrea Mantegna, who was active in Padua, married into the Bellini family, who were among the leading painters in nearby Venice. Mantegna’s brilliant compositional innovations and his deep interest in classical antiquity made a major impact on his youngest brother-in-law, Giovanni Bellini. During this time, Bellini’s distinctive painterly style also made a deep impression on Mantegna’s work. After just 10 years of close collaboration, their paths parted. In 1460 Andrea moved to Mantua, where he remained Court Painter to the princely Gonzaga family until his death. Giovanni, on the other hand, spent his entire artistic career in Venice. They were active in very different environments, and their artistic styles developed in very different directions. Yet through all phases of their creative lives, their work provides evidence of their continuing artistic dialogue, something that can be sensed even today. An innovative study of the relationship between Andrea Mantegna and Giovanni Bellini, two masters of the Italian Renaissance. Andrea Mantegna (c. 1431–1506) and Giovanni Bellini (active c. 1459; died 1516) each produced groundbreaking paintings, marked by pictorial and technical innovations, that are among the masterpieces of the Italian Renaissance. Exploring the fruitful dynamic between Mantegna’s inventive compositional approach and interest in classical antiquity and Bellini’s passion for landscape painting, this fascinating volume examines how these two artists, who were also brothers-in-law, influenced and responded to each other’s work. Full of new insights and captivating juxtapositions—including comparisons of each of the artist’s depictions of the Agony in the Garden and the Presentation to the Temple—this study reveals that neither Mantegna’s nor Bellini’s achievements can be fully understood in isolation and that their continuous creative exchanges shaped the work of both. The collections of the Gemäldegalerie and the National Gallery boast an extraordinary range of high-quality works by Mantegna and Bellini. The collections include masterpieces from all creative phases of these two remarkable artists. Additionally, the Kupferstichkabinett and the British Museum house outstanding collections of works on paper by Mantegna and Bellini, by their family members, and by their protégés. Particularly in their immediacy and spontaneity, these drawings emphasise the artistic proximity of Andrea Mantegna and Giovanni Bellini. Around this nucleus, the exhibition also gathers together a number of outstanding loans. This allows the differences and similarities in the work of these major artists of the Renaissance to be teased out in an exemplary fashion. These unexpected connections and breathtaking juxtapositions make up the unique attraction of this exhibition. 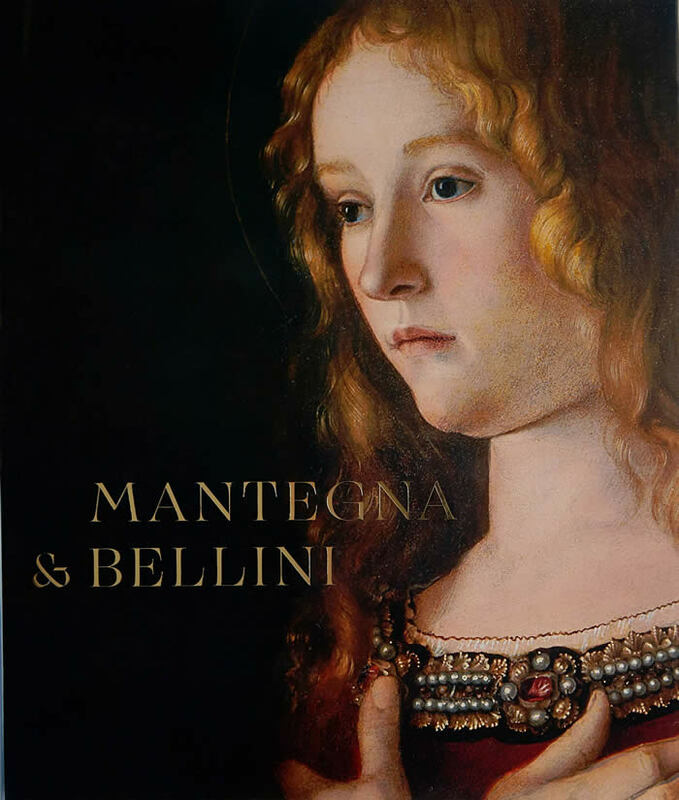 A tale of two artists and brothers-in-law, ‘Mantegna and Bellini’ tells a story of art, family, rivalry, and personality. Andrea Mantegna’s brilliant compositional innovation and Giovanni Bellini’s atmospheric, natural landscapes were groundbreaking – no one had seen anything like it before. Following their respective careers in Padua and Venice, and Mantegna’s fame as court painter to the powerful Gonzaga family in nearby Mantua, ‘Mantegna and Bellini’ is the first-ever exhibition to explore the creative links between these artists. In the National Gallery the exhibition ran until 27 January 2019. 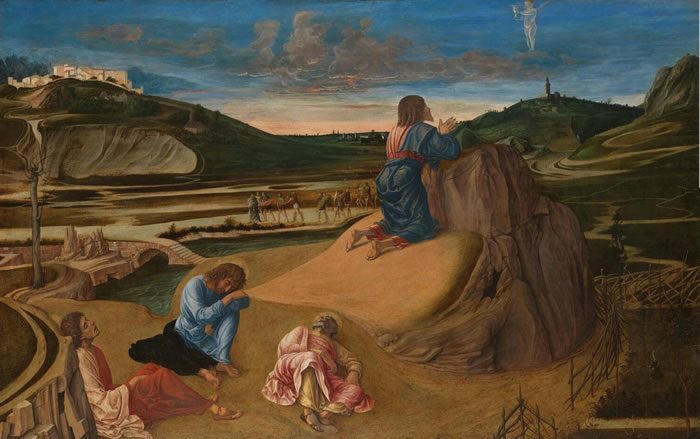 Since 14 October 2018, in the special presentation Bellini Plus: Research and Restoration, the Gemäldegalerie has been showing works by Giovanni Bellini and his circle that have been the subject of research and investigation in preparation for this major exhibition. Text panels, photos and maps give visitors an insight into the research outcomes of this process, the restoration history of the works, and the recent restoration and conservational measures. „Mantegna and Bellini: Masters of the Renaissance“ is curated by Caroline Campbell (National Gallery, London), Dagmar Korbacher (Kupferstichkabinett – Staatliche Museen zu Berlin), Neville Rowley (Gemäldegalerie and Skulpturensammlung – Staatliche Museen zu Berlin) and Sarah Vowles (British Museum). An exhibition of the Staatliche Museen zu Berlin and the National Gallery, London in cooperation with the British Museum. The scene of the Agony in the Garden is one of the most harrowing of Jesus‘ passion: Christ prays to his father next to his sleeping disciples, while the Roman soldiers, led by Judas, are on their way to arrest him and to crucify him. This theme was chosen by Mantegna for the predella of a large altarpiece for the church of San Zeno in Verona; later, he also used the same subject in this stand-alone painting. It is under Mantegna’s influence that Bellini made an apparently similar version. To be sure, Bellini’s rendering of the foreshortened bodies is not as convincing. However, he easily wins the prize for the landscape; the soft light of the awakening dawn points towards his future masterpieces . This book examines Bellini’s life, including his complex relationships with his father Jacopo, his brother Gentile, and his brother-in-law Andrea Mantegna. It considers the original contexts of Bellini’s works, and elucidates the ways in which these paintings were meant to be perceived. The book also links Bellini’s devotional paintings with the poetic creations of his pupil Giorgione. 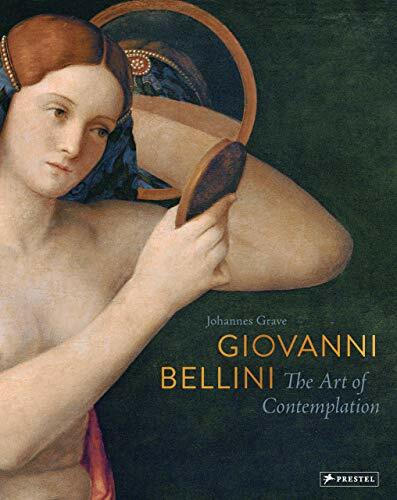 An important contribution to the scholarship of Renaissance art, this masterful book reaffirms Bellini’s status as one of Venice’s greatest painters. Barrier-free access Severely disabled visitors can go to the front of the queue, wheelchair-, step-free access to building, lift at side entrance, disabled WC available. The number of participants is limited, registration is needed, only available online: www.mantegnabellini.de, remaining tickets at the cash point.